Kogie Maistry was born in Durban, which is undoubtedly the most beautiful tropical part of South Africa. She moved to Cape Town in 1993, what she likes most about living in Cape Town is the slower paced life, the long summer days and breathtaking sunsets. She started working at Cape Studies in 2004. She considers herself a part of the school, and isn’t going to find retiring from such a lovable job easy. At school, science was her favourite subject especially biology. She went on to complete her teaching diploma majoring in biology and physiology. After graduating from Springfield Teachers Training College in Durban, she taught in various state schools. 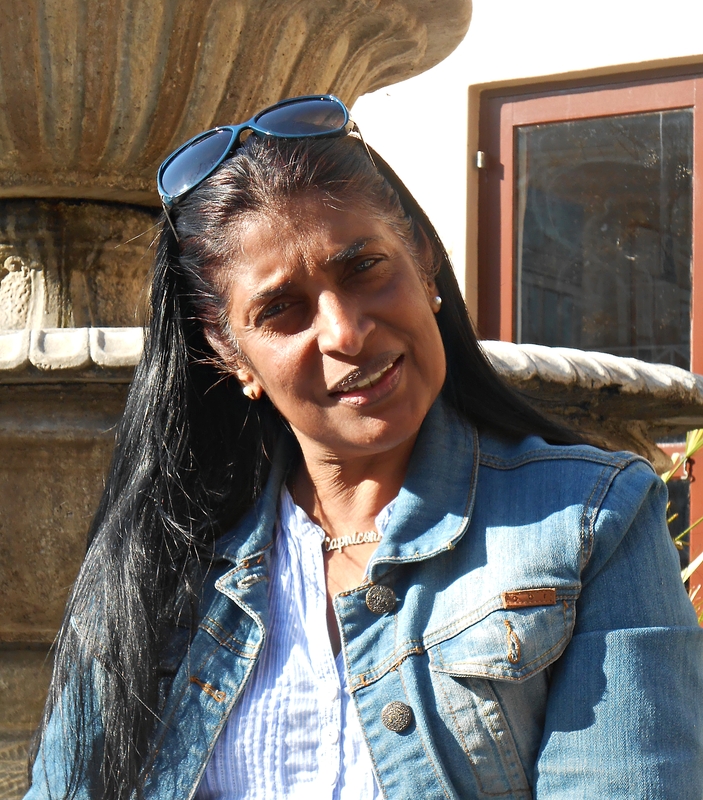 Her first job in Cape Town was teaching at Harold Cressy High School. It was there that she met and worked with different cultures, for one year and found that very interesting. She loves teaching, meeting and interacting with people and has found Cape Studies to be the perfect setting. Her other interests are reading biographies, spending time doing Yoga and meditation and meeting friends, especially at coffee shops. She enjoys interior decorating and coordinating formal events. Her motto is “learning can only be accelerated when having fun”.